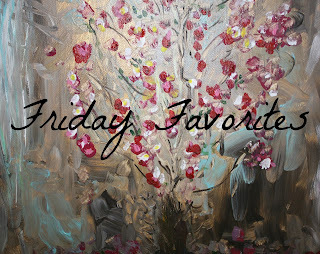 I thought I would share some of the favorite things I found in my camera lens this week. My Clematis plant is blooming profusely right now. I haven't been able to get enough of the birds that love playing around in our back yard. This dove was studying me as much I him/her. This lone Mockingbird on a neighboring chimney was singing for all it was worth. I loved the silhouette of this picture. My zoom lens caught the perfect profile of this majestic male Cardinal. Mr. Bluejay was almost posing for me. And, I wish you could have heard the noise this little sparrow was making. I wouldn't exactly call it musical but definitely what it missed in a sweet tweet it made up for in volume. The sun loves my bougainvillea and brings out every shade of color in its brilliant petals. This little basket of various ivy provides a colorful contrast to the neighboring colorful bougainvillea. Don't you just love the colors in this amaryllis? Now this would take the prize for the most interesting and somewhat X rated picture. This is what the inside of our Sago Palm looks like. We have never had this phenomenon happen before. Any idea what might be going on? By the way, this plant is approximately 43 years old. We moved it from place to place in pots and finally put it in the ground when we moved in our current house in 2007 where it has quadrupled in size. I agree its old enough to do whatever it chooses, but this is questionable behavior at any age. And I will leave you with this peaceful scene and let you imagine the sound of quiet, bubbling, clear water. 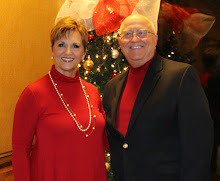 Sharing the Hodgepodge with others on Joyce's blog HERE. 1. 'Beauty is in the eye of the beholder' What's something you've seen recently that you thought was beautiful? I have so enjoyed spending early mornings and evenings out on our patio when the birds are most active and boisterous. I will feature some of the pictures I have taken on another post, but this one stands out to me as a true "Beauty." 2. Our culture and beauty...your thoughts? 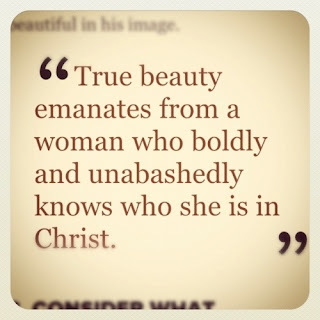 I wish more women and girls knew this to be true! 3. 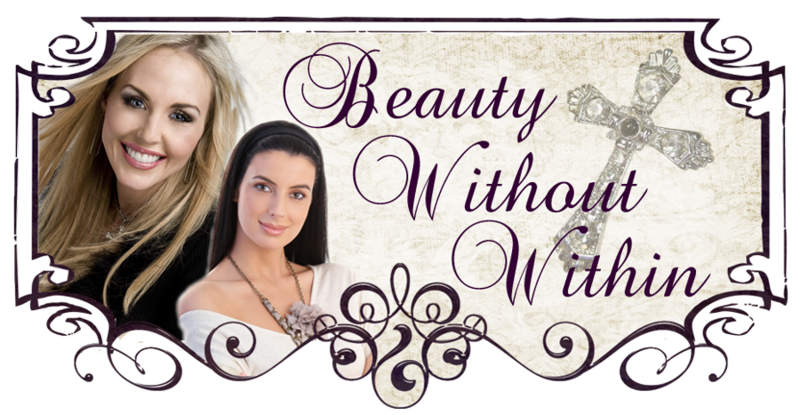 Age before beauty, beauty queen, beauty mark, beauty sleep...which beauty-ful phrase resonates with you today? Why? Definitely beauty sleep! If only I could have more of it. Which 'beast' on the list scares you the most? What is the liklihood of you having an actual encounter with that particular beast? Fairly slim as I haven't been close to one in many years. Did a movie contribute to your fear of this creature? Have you ever had a real life encounter with any of the animals listed? Many years ago, we had a little family of mice to inhabit our quiet and peaceful home. One night as my two babies were sleeping in their little beds and I was reading, I glimpsed something scurry into my infant baby girl's room. When I got up to check, it was indeed a scurry, furry little mouse. I ran and got a broom and with me wielding it above my head in order to put all my power and strength into crushing its little bitty body, it reappeared from the closed closet door. Instead of being the mighty warrior protector of my baby, I screamed, threw the broom somewhere, knocked over the antique rocker and landed in the crib with my sleeping angel. Hubby had to fight the beast when he got home. At our church. We have a beautiful clarion in the way-high-up steeple, that not only chimes the hour but plays beautiful hymn arrangements. It is not actually a real bell, but it does sound like one. 6. What's your favorite carb? How's that for random? Beans, Avocado, Cashews, Grapefruit, Yogurt, etc. 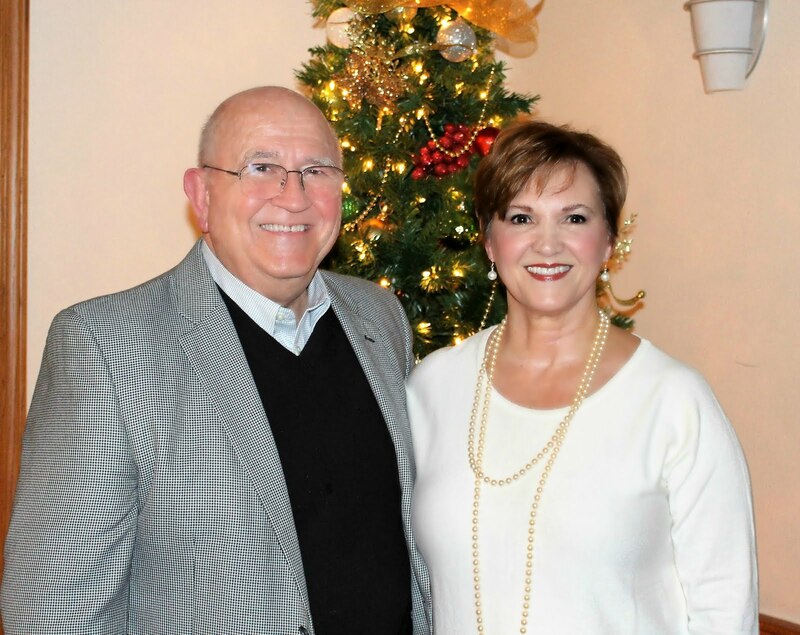 Our daughter-in-law comes from a very small community in central Louisiana where families and friends remain close whether they live by each other or not. Her three sisters and one brother still live there. That also means there are lots of cousins there for our Indiana grandchildren to visit. One of the neat things about small country schools is everyone is family and that includes cousins who live a thousand miles away. So, when these Louisiana cousins were planning for prom, they invited their long-distance cousins to be their dates. How fun was that? Well I'll show you! Mary-Elizabeth 10th, Gracie 11th, Mary Jane 9th, Savannah 12th & Senior Prom for Waddy and Savannah to share. I will be sharing a study I wrote of the final six chapters of Mark as we approach Easter. How have your priorities changed over the years? As Christians, we know that our first priority should be our relationship with God. Jesus highlighted this in His teaching on the greatest commandment which is part of our larger study today. Even though we know that God is our number one priority, the demands on our time and energy from other sources such as a demanding job, boss or family seem to take first place. Often we find ourselves at the end of the week with little energy for study, worship and fellowship with our family of faith. When you examine your life where does God fit in with your priorities? It has taken Mark 10 chapters to cover 33 years and it will take him 6 chapters to cover one week. This shows the profound effect the Passion of our Lord had on Peter and Mark. The miraculous birth of Jesus as awesome as it was, or the feeding of the multitude with just a few loaves and fishes, or the healing of the blind man, the raising of a young girl from her death bed, or the deaf and dumb man being healed; none of these miracles as tremendous as they were would atone for our sin. It would take the shed blood of Jesus to satisfy the demands of the law. The Holy Week begins with the triumphant entry of Jesus into the Holy City. By the time Jesus gets to Jerusalem His entourage must have grown. He stops at the edge of town and instructs two of His disciples to go into the city and tells them where they will find a donkey. They are to untie him and if anyone asks what they are doing to say to them "the Lord has need of it". Mark lets us know it happens as Jesus had predicted and the disciples were asked what they were doing and they supplied the answer as Jesus had instructed. The colt they brought had never been ridden upon. That was fitting, for an animal to be used for a sacred purpose must never have been used for any other purpose. The whole picture is of a people who misunderstood. They were thinking of kingship in the terms of conquest in which they had thought of it for so long. Do you think the 12 disciples might have been involved in the shouting of praises to the King along with the people? One hundred fifty years before, Simon Maccabaeus entered Jerusalem amid shouts of praise and music after defeating the Seleucid Empire. It was a conqueror's welcome such as this that the people sought to give to Jesus, but they never dreamed of the kind of conqueror He had come to be. When one looks at Jewish history the pattern is repeated over and over. If they were not fighting those who ruled over them they were fighting among themselves. After entering the city Jesus surveys the temple and then departs back to Bethany. One can only imagine the gaze of Jesus as he takes in the hostile stares from the scribes and Pharisees and the commercialization of the temple. The next day He would address that problem. The next morning as Jesus departs from Bethany Mark tells that Jesus was hungry and includes an event that is seemingly so out of character for Jesus. Many have tried to decipher what Jesus is teaching with the fig tree. And I must admit, it is a passage that had troubled me. Through the years, overly critical minds have found reasons to reject the account of Jesus' cursing of the fig tree. Some theologians have thought Jesus acted in a capricious way, cursing a tree because it had no fruit even though it was not the season for fruit. After reading several commentaries the gist of their understanding is Jesus is enacting a living parable. The fig tree had every evidence of fruit yet was fruitless. Evidently, Jesus noticed this tree because it was in full foliage, and could therefore be expected to have fruit, but it had nothing but leaves. It promised much but provided nothing. The fig tree was a standard symbol for Israel, as numerous Old Testament passages attest. (Jer. 8:13, Hosea 9:10, 16, Joel 1:7 and Micah 7:1-6). 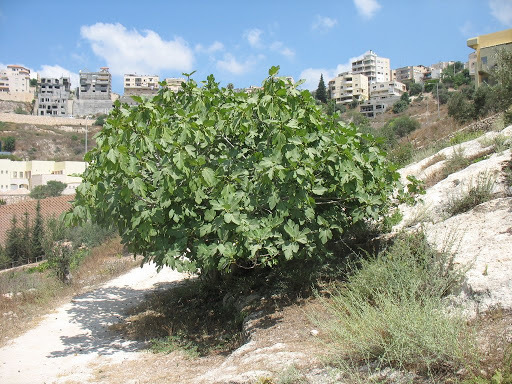 The fact that this particular fig tree had luxuriant foliage, but bore no fruit portrayed exactly what Jesus had seen in Jerusalem the previous day. In this living parable Jesus is showing that the outward form of religion and worship was evident but it produced no fruit therefore it was barren. The same Jesus who had shown such compassion to the multitudes, the one who had helped and healed, is now pronouncing a curse on a fig tree. Do you think they had any idea of the significance of what had happened? One other note of interest here is the fact that with the exception of such multiple miracles recorded throughout Mark and the greatest miracle of all, Christ’s rising from the dead, the Gospel of Mark records 18 miracles, and the blasting of the fig tree is the last. V.15 - They came to Jerusalem and entered the temple. 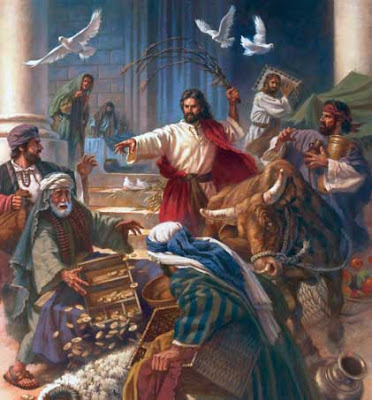 Jesus immediately begins to drive out the money changers and those who sold doves. . (John 2:13-25 tells of an earlier cleansing of the Temple.) Both of these groups, the money changers and those sold doves, were making a profit. The temple tax could only be paid with a shekel. Those who did not have the required currency could exchange their money but they paid a heavy penalty. The dove sellers made a profit because the priests were in on the money making scheme and would find the poor people who brought their own doves for a sacrifice "unclean" thereby forcing them to buy "clean" ones from the dove sellers. Also the Court of Gentiles had become a short cut from one part of town to the other and people were carrying burdens even though the Mishnah contained an ordinance aimed at curbing traffic by forbidding anyone to enter the Temple Mount carrying his staff or sandal or wallet, or to use it as a short cut. 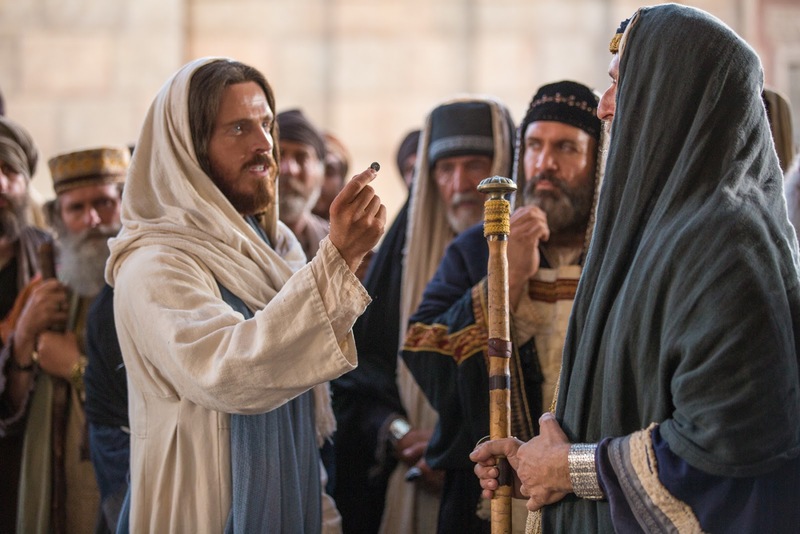 This is an excellent example of the hypocrisy of the Scribes and Pharisees – they had strained at every knat to entrap Jesus and yet were not only allowing but participating in the breaking of every law regarding keeping the Temple site holy. Jesus quotes Isa. 56:7 "My house will be called a house of prayer for all nations". The main purpose for the Court of the Gentiles was to be a place where the Gentiles could come for prayer and meditation in seeking God. But as it was, it was impossible to concentrate on anything, much less to pray and worship. "But you have made it a den of robbers". Jesus has just come through the Robbers Roost that existed between Jericho and Jerusalem where people were often robbed and in the process beaten or killed. He likened the Court of Gentiles in the same way. A place where one is robbed and taken advantage of. No wonder the chief priests who were getting rich off of the people began to seek how to destroy Him. They were also afraid because of His popularity with the people. Jesus does not stay in Jerusalem but returned to Bethany at night. The next morning the disciples noticed the fig tree withered from the roots up. Mark is letting us know it was dead. No trimming off the dead branches and it produces new growth. It not only will not bear fruit it will not even bear a leaf. Just as the tree was rotten clean through and through the nation of Israel was rotten clean through and through. In cursing the fig tree and cleansing the temple Jesus performed two symbolic and prophetic acts, with one meaning. He was predicting the downfall of unfruitful Israel and from its ashes would come an everlasting kingdom that would gather both Jews and Gentiles. Jesus now turns the withered fig tree into a teaching moment on prayer. V.22-26 So Jesus answered and said to them, “Have faith in God. 23 For assuredly, I say to you, whoever says to this mountain, ‘Be removed and be cast into the sea,’ and does not doubt in his heart, but believes that those things he says will be done, he will have whatever he says. 24 Therefore I say to you, whatever things you ask when you pray, believe that you receive them, and you will have them. This is a powerful teaching on prayer and the role forgiveness has in relation to our sins being forgiven. V. 27-33 Jesus shows back up at the temple. This is the third day and the scribes and Pharisees have decided they had better try and get a handle on things so they decided to confront Jesus with who is in charge around here. Jesus challenges their question with a question of His own. In essence, you answer my question and I will answer yours. Jesus' Question - "Was the baptism of John from heaven, or from men? Answer Me." Mark tells of their dilemma. Jesus counters with His answer "Neither will I tell you by what authority I do these things." But Jesus does tell them a parable. “A man planted a vineyard and set a hedge around it, dug a place for the wine vat and built a tower. And he leased it to vinedressers and went into a far country. 2 Now at vintage-time he sent a servant to the vinedressers, that he might receive some of the fruit of the vineyard from the vinedressers. 3 And they took him and beat him and sent him away empty-handed. 4 Again he sent them another servant, and at him they threw stones, wounded him in the head, and sent him away shamefully treated. 5 And again he sent another, and him they killed; and many others, beating some and killing some. 6 Therefore still having one son, his beloved, he also sent him to them last, saying, ‘They will respect my son.’ 7 But those vinedressers said among themselves, ‘This is the heir. Come, let us kill him, and the inheritance will be ours.’ 8 So they took him and killed him and cast him out of the vineyard. Some of Jesus' parables may have been hard to understand but to the scribes and Pharisees this was pretty plain. This parable shows the love of the Father. Though this story is told as a parable it was exactly what God had done. In various ways He had sent His servants to call the nation of Israel to account and they were indeed scorned, wounded, and rejected. Most of us would have reacted the first time the tenants rejected the men sent by the owner. The Father had demonstrated His patience and love throughout the Old Testament. This was the history of Israel, a history of opportunities neglected, privileges abused, and a great trust betrayed. Jesus knows that He too will be rejected and killed just as the owner's son was killed. Who is Jesus speaking of? Who will the vineyard be given to? What about today? God's love is still coming even to those who have cast His messenger aside. In fact, the Son is coming to them right now, persistent in His love for them. Jesus now has two encounters with the religious leaders trying to entrap Him. The first were two groups who normally despise one another banding together in their mutual hatred of Jesus because Jesus threatened their personal agenda. We see these two groups banding together for the first time in Capernaum after Jesus had healed the man with the withered hand on the Sabbath. With both the religious and the political elements being represented they were sure to trap Jesus when He responded to their question. V.14 The Pharisees’ spokesman said 4 things in a mocking flattery. Quite a flattering introduction to a question they hoped would trap him into declaring something that would put him in trouble with either the political faction or religious faction. Their question came after a honeyed introduction seemly asking for direction in deciding what to do in a difficult matter of ethics, but their real intention was the destruction of Jesus. Jesus then asks for a denarius, which amounted to a day’s wages, saying that He wanted to look at it, thereby directing their attention to the coin. The coin has on one side the bust of the reigning Caesar who was Tiberius Caesar Augustus. On the other side Caesar is shown seated on a throne. He is wearing a diadem and is clothed as a high priest. The sticking point to the Jews, besides paying a poll tax, is the graven image the coin represented. Caesar is to be worshiped as a god. How does He answer them? “Render or give to Caesar the things that are Caesar’s and to God the things that are God’s”. He is saying they should pay the poll tax which paid for the government’s services since they enjoy the benefit of the tax. But to God alone worship should be given. Mark lets us know after the Pharisees and Herodians failed, the Sadducees try their hand. The Sadducees did not believe in the resurrection so they concocted an impossible dilemma showing how ridiculous the belief about the resurrection was. They allude to the Levirate law of marriage as outlined in Deut. 25. 5, 6. - giving the example of a man’s brothers marrying the widow. Jesus counters their false assumption that there would be a resumption of marriage after the resurrection. They deceived themselves in two ways Jesus said. 2. They did not recognize the power of God to raise the dead. V. 25 Jesus answers their false assumption by declaring in the resurrection there will be no marriage or will anyone be given in marriage but are like angels in heaven. V. 26,27 But concerning the dead, that they rise, have you not read in the book of Moses, in the burning bush passage, how God spoke to him, saying, ‘I am the God of Abraham, the God of Isaac, and the God of Jacob’? 27 He is not the God of the dead, but the God of the living. The very scriptures they prize so highly in keeping are in actuality unknown to them. Jesus is telling them exactly where it is found “in the burning bush passage”. V.27b. Jesus tells them bluntly “You are therefore greatly mistaken.” Or you blunder. When a person departs from the Scriptures he is bound to blunder, to be badly mistaken, to wander. The Pharisees must have gloated over the fact that Jesus had put down the Sadducees for their disbelief in the resurrection, a position the Pharisees supported. 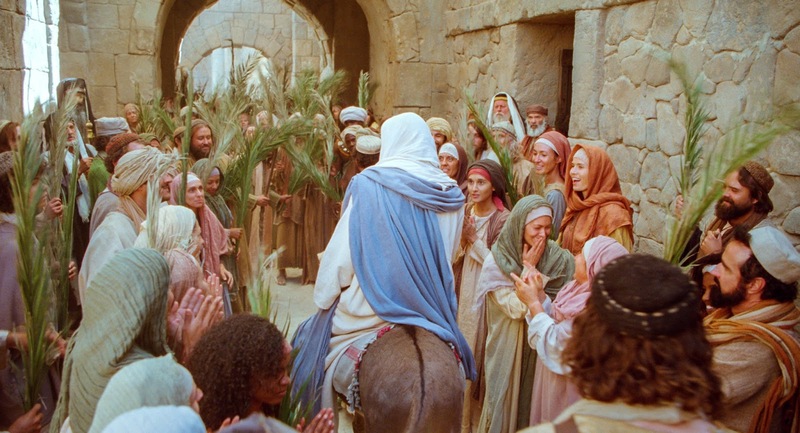 But they were not too pleased the crowd was amazed or astonished at Jesus’ teaching. So once again they cook up a plan to entrap Jesus in order to discredit Him. V28 During the debate with the Sadducees a scribe comes up and seeing Jesus answers them well poses a question to Jesus. In a parallel passage found in Matt. 22:34,35 Matthew indicates Jesus is once again tested by the Pharisees. Among the Jews two contrary tendencies were at work. One was to analyze the law, dividing it into ever so many hairsplitting ramifications. Another tendency was the very opposite, namely, to synthesize, that is, to express the summary of the law in one brief sentence. In a sense this latter attempt was excellent. Religion is, after all, a matter of selecting the right priorities. If that is not done, it easily degenerates into majoring on minors. Churches have been admonished to “Keep the main thing, the main thing”. Jesus teaches this by saying the whole moral-spiritual law, can be summed up in one word; love. This love must first be directed toward God. This quote, from Deu. 6:4, is called the Shema which is a transliteration of the word “Hear” the first word. It is readily understood that the Shema was and is the very foundation of monotheism. Not only that, but it stresses the fact that this one and only God wants to be loved! He want to be loved with our total being. This encompasses the heart, the hub of the wheel of man’s existence, the mainspring of all his thoughts, words, and deeds. The soul, the word used in the original has a variety of meanings but probably means here the seat of man’s emotional activity; the mind is not only the seat and center of our purely intellectual life but also of our dispositions and attitudes. With all your strength conveys the idea of using these heart, soul and mind to the full. Note the fourfold “all”. The point is that God’s wholehearted love must not be answered in a halfhearted manner. As He is an “all in all” God” He wants our “all in all” love”. This love must be directed not only toward God but also toward man. The second commandment resembles the first in this respect; both require love. This love for our neighbor flows forth from love toward God. God loves the world therefore we are to love also. Jesus gives us a measuring rod for the love we are to have for our neighbor “as you love yourself”. One can almost hear the excitement in the scribe’s voice as he recites back to Jesus the lesson he has just been given. What do you think the scribe meant by “is more than all the whole burnt offerings and sacrifices”. It will be interesting to see if in glory we meet this scribe who had answered wisely. But after that no one dared question Him. Jesus had completely crushed the opposition, and in the process of doing this had even succeeded in encouraging a member of a largely hostile group closer to his own side. There are three remaining studies in the gospel of Mark. The next lesson Jesus will prepare his followers for the future, not only the crucifixion but the years of persecution that would follow. The last lesson will deal with the crucifixion and the resurrection.